Congrats. 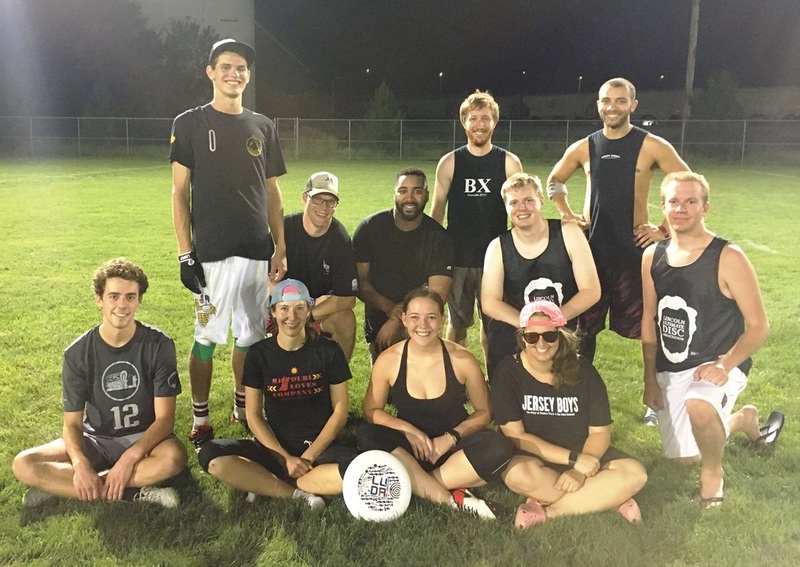 to No Pull-Crap for winning the LUDA Summer League 2016 playoffs! 7 vs. 7 Coed -- At least one girl per side on the field. Captains shall make further gender balance decisions on a game-by-game basis. For each half that a team cannot field at least one girl, that team shall be assessed a penalty of one point per half (for a maximum of two points per team per game). Registration fee is $30/player to cover field rental and swag. League dues must be paid by week 3, June 16. Contact us at info@lincolnultimate.com if accommodations are needed. Cleats or athletic shoes are recommended. Each game is hard-capped at 80 minutes, with a 5-minute warning issued at 75 minutes. One timeout per team per half, plus one floater. Fields will be 40 yards wide and 110 yards long (70 yards proper and 20-yard endzones). When determining tournament brackets, the tiebreaker used will be head-to-head record (and not point differential).